A year on from its launch, the Samsung Galaxy Note 8 is a still a powerful device that is great for getting things done whilst on the move. 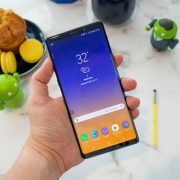 In particular, the S Pen allows users to express themselves in ways that will make a difference, through handwritten messages or creative projects. However, this rock of a phone does come with a limit on the internal storage. The Galaxy Note 8 is equipped with 64GB of internal storage, a capacity which may be already good enough for some but not all users. 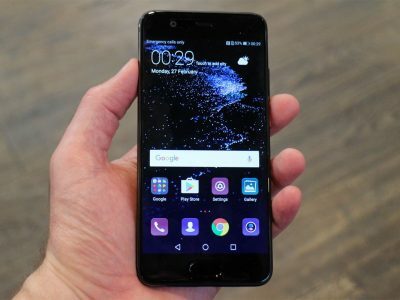 Therefore, this smartphone gives users the option of utilising expandable storage. 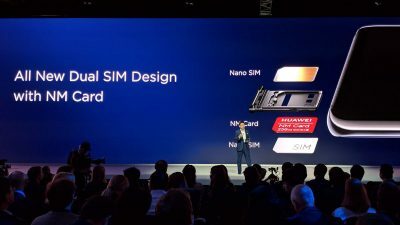 Inclusive of a micro SD card slot, the Note 8 can support external memory expansion of up to 256GB. 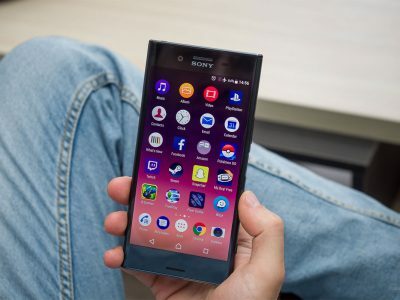 Add that on top of the 64GB of internal storage already provided, and you will finish up with a substantial amount of storage to keep multiple documents, files and media content. 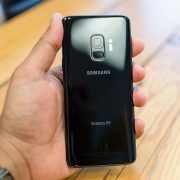 So if you need some help deciding which memory card you should pick, carry on reading to discover the best microSD cards for the Galaxy Note 8. The first micro SD in our Top 5 recommended picks comes from Samsung itself. 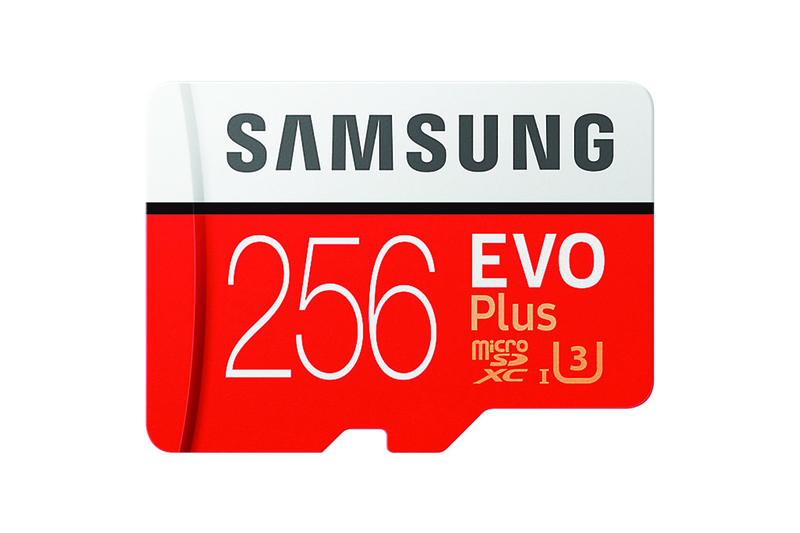 The Samsung 256GB Evo Plus will allow you to reach the maximum capacity of external storage on your smartphone. With astonishing performance and reliability, the Evo Plus lets you save and treasure the richness of life. This card guarantees read speeds of up to 95 MB/s and 90 MB/s write speeds, with class 10 and U3 compatibility. 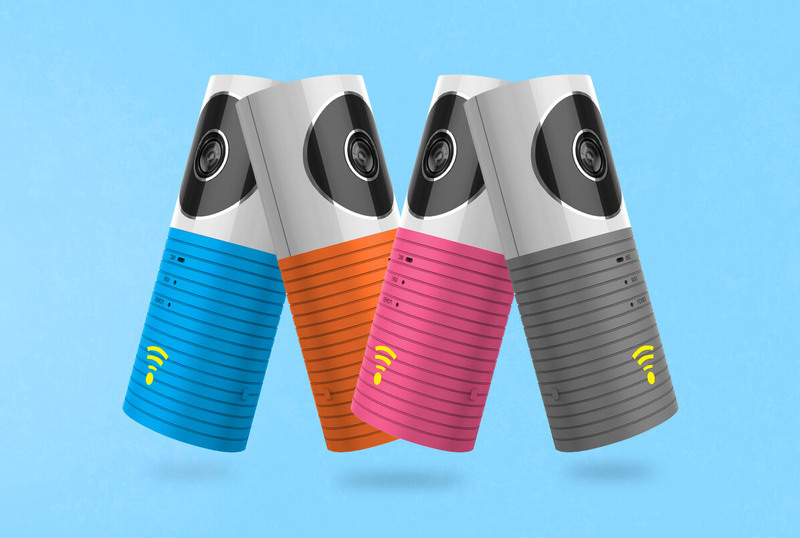 This will enable you to transfer files quickly and efficiently. 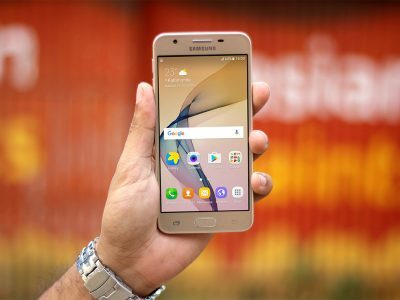 With the Samsung EVO Plus Micro SD Card, you can shoot rich and detailed 4K UHD videos from your smartphone and be confident that each memory captured will be safe. 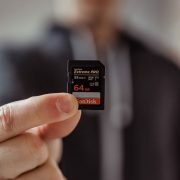 This card gives you the ability to save up to 55,200 photos, up to 33 hours of full HD video, up to 12 hours of 4K UHD video or up to 22,500 songs. 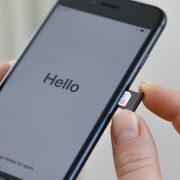 Additionally, this card comes with a microSD adapter so that it can be used in the full-size SDHC/SDHX slot without difficulty. The SanDisk Ultra Micro SD Card is a memory card perfectly suited for the Samsung Galaxy Note 8. 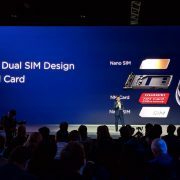 Ideal for Android-based smartphones and tablets, the A1 rating means that the card is specifically designed to enable the smooth loading of Apps for a better smartphone experience. 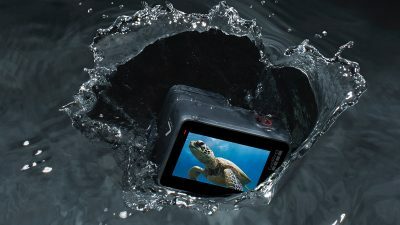 With models up to 256GB capacity, you have the capacity to take more pictures and Full HD video and capture life at its fullest. Built to perform in harsh conditions, SanDisk Ultra microSD cards are waterproof, temperature proof, shockproof, and X-ray proof. 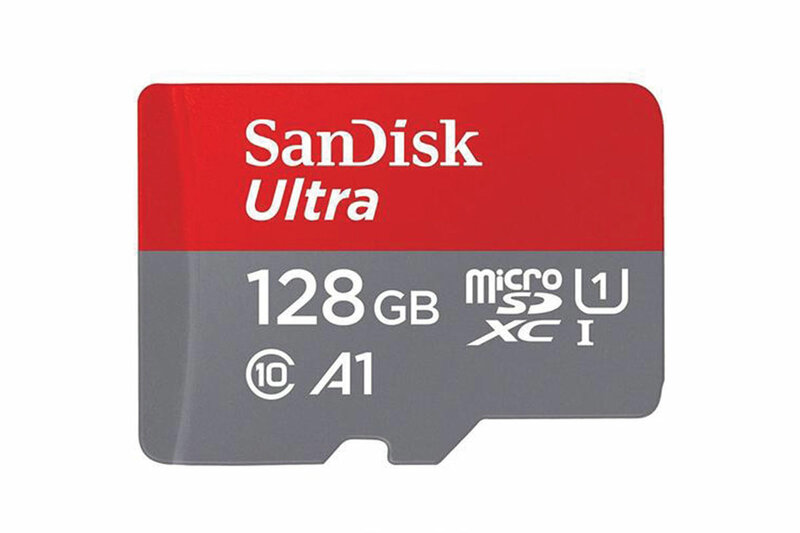 The SanDisk Ultra microSD allows users to download the SanDisk Memory Zone app from the Google Play store. This app lets you view, access, and back up your phone’s files in one location. 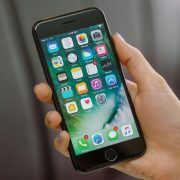 It can also automatically move files from your device to your memory card to free up more space. The SanDisk Extreme PRO Micro SD Card is a great option for the Samsung Galaxy Note 8. 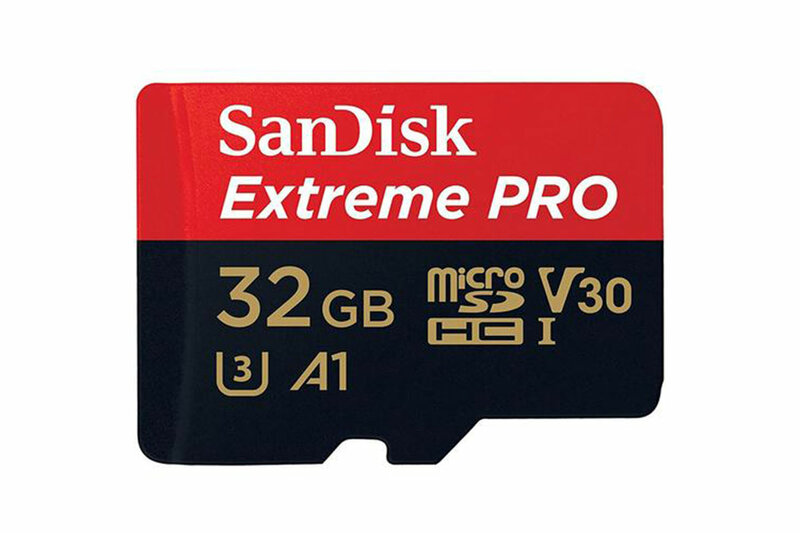 This card allows users to get faster app performance for an outstanding smartphone experience thanks to the SanDisk Extreme PRO microSD card’s A1 Specification. With quick transfer speeds of up to 100MB/s, this card will help to save time when transferring high-resolution images and 4K UHD videos. 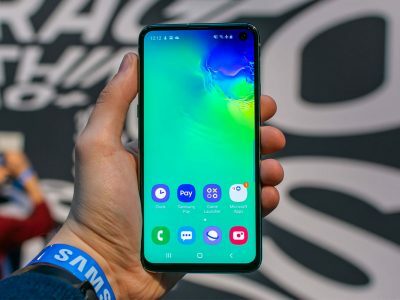 If the main reason you are looking to expand the storage of your device is due to multimedia content then you should take definitely this card into consideration. 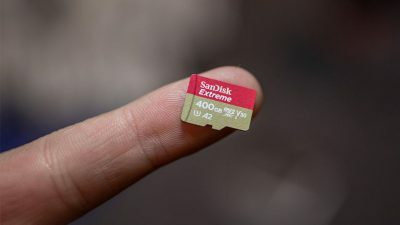 In addition to this, The SanDisk Extreme PRO can be used with the SanDisk Memory Zone App. 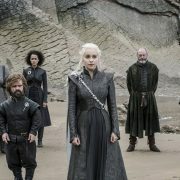 This app simplifies managing your smartphone memory and media files, making it easy to access and back-up all your content. 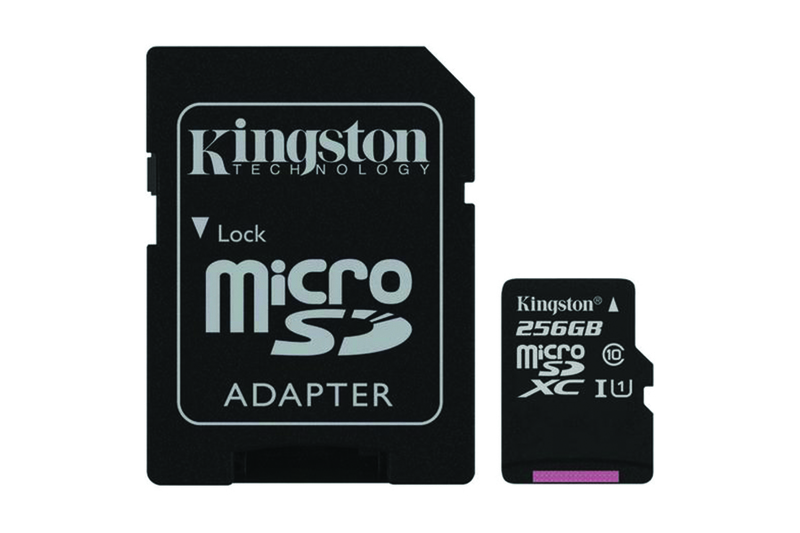 Kingston’s Canvas Select Micro SD Card is designed to be reliable, making it ideal for filming in HD and shooting high-resolution photos. 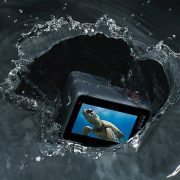 You can be confident that your memories will be safe when documenting life’s adventures on your Android smartphone. The card is available in multiple capacities up to 256GB, to provide plenty of space to capture an entire trip or to free up a great deal of space on your Galaxy Note 8. Kingston Canvas cards are tested to be durable, so you can take them anywhere with the confidence that your photos, videos and other data will be protected, even in harsh or unstable conditions. Alongside this, the Kingston 256GB Canvas Select allows you to transfer and edit your memories quicker thanks to the incredible 8x read speeds over traditional Class 10 SD cards. If you want to save space on your mobile device by running apps from a memory card then MyMemory’s Premium range of memory cards are the right choice! Make the most of your smartphone with a MyMemory 128GB V30 PRO Micro SD Card. 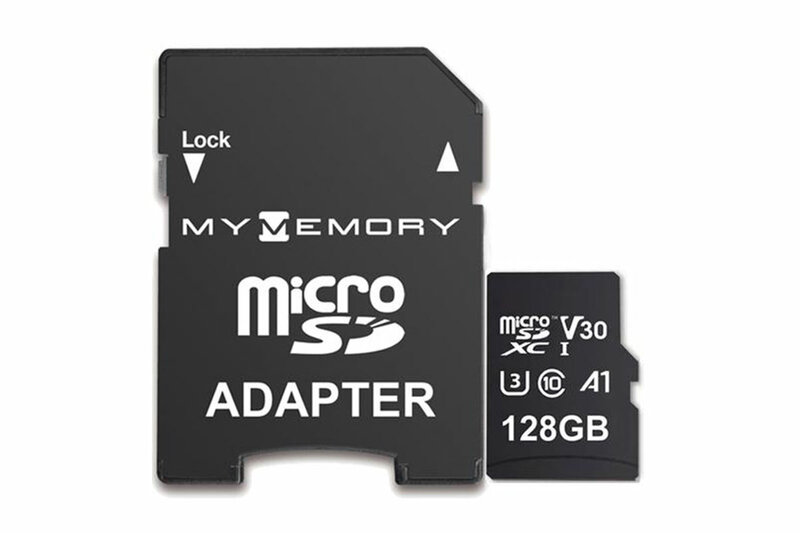 MyMemory Premium High Speed microSDXC cards are the perfect partner for your high-spec smartphone or tablet. Enjoy more space for photos, videos, music and apps. 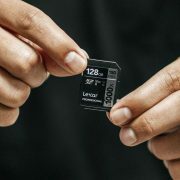 These superior cards offer super-fast read and write speeds and you can record high-definition video and take burst mode photos with confidence. With read speeds of up to 100MB/s, this card is an ideal way to upgrade your smartphone. So there you have it, our top 5 recommended micro SD cards for the Samsung Galaxy Note 8. 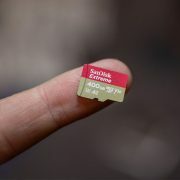 Which memory card you go for may perhaps depend on your budget or what you plan to exactly do with the card. Do you feel a need to use expandable storage or are you happy with the amount of internal memory provided? Let us know in the comments below. If you are looking to expand the storage on your device, be sure to visit our website to get the best microSD card for your Galaxy Note 8 and view our full range of cards available in different capacities and prices. 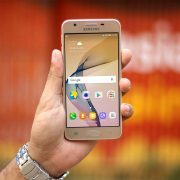 I am looking at getting a 2T card and was wondering what limits the storagr capacity in these phones. I hate when they say you get 256 but after they put all their crsp on it you are actually getting 250 or so. Thanks for you input.